Android Developers Blog: Hello Places API for Android and iOS! Hello Places API for Android and iOS! People don’t think of their location in terms of coordinates on a map. They want context on what shops or restaurants they’re at, and what’s around them. To help your apps speak your users’ language, we’re launching the Places API for Android, as well as opening a beta program for the Places API for iOS. 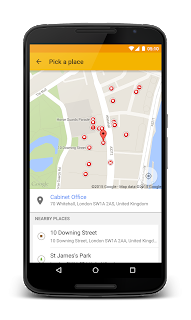 The Places APIs for Android and iOS bridge the gap between simple geographic locations expressed as latitude and longitude, and how people associate location with a known place. For example, you wouldn’t tell someone you were born at 25.7918359,-80.2127959. You’d simply say, “I was born in Jackson Memorial Hospital in Miami, Florida.” The Places API brings the power of Google’s global places database into your app, providing more than 100 million places, like restaurants, local businesses, hotels, museums, and other attractions. 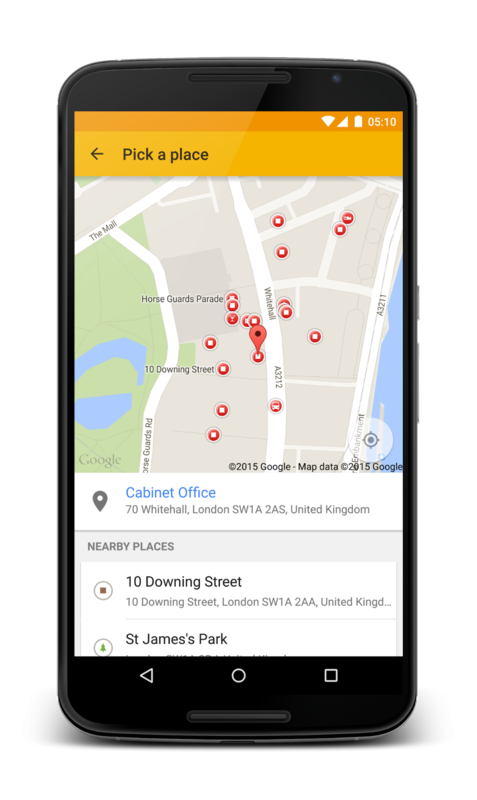 Improve the map around you by reporting the presence of a device at a particular place. To get started with the Places API for Android, watch this DevByte, check out the developer documentation, and play with the demos. To apply for the Places API for iOS beta program, go here.